A child is transported on a fridge during floods after Cyclone Idai, in Mozambique. At least half a million survivors of a powerful cyclone in southeast Africa are at risk of fatal diseases, from cholera and dysentery to malaria, aid workers warned on Thursday, as rescue teams struggled to reach flood-hit communities. Packing wind speeds of up to 170 kph (105 mph), Cyclone Idai hit Mozambique's port city of Beira on March 14 before moving inland to neighbouring Malawi and Zimbabwe in one of the worst climate-related disasters to hit the southern hemisphere. At least 360 people have died, and 2.6 million people have been affected, the United Nations said, as Idai's winds ripped apart homes, schools and medical centres. Accompanying heavy rains have triggered floods, inundating swathes of farmland. "Health clinics and services have broken down, water supplies are damaged - and the only reservoir with treated water has only one to two days of drinking water left," said James Kambaki from the health charity Medecins Sans Frontieres (MSF). "People will resort to drinking water contaminated with waste and sewage as well as dead bodies which will be discovered as water levels recede," he told the Thomson Reuters Foundation by phone from Johannesburg. Kambaki said MSF teams were working in all three countries and were providing aid to survivors, but added that the magnitude of the disaster was still unfolding and that there would be increased need to focus on efforts to curb epidemics. 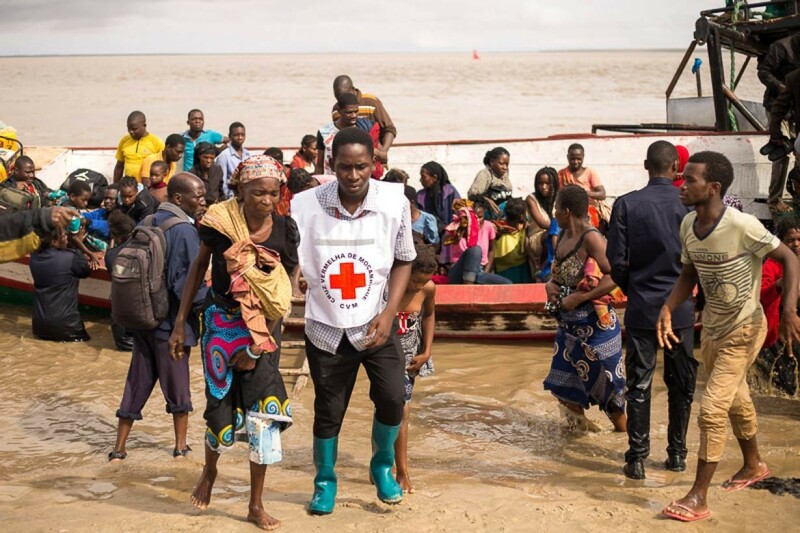 The death toll in worst-hit country Mozambique has risen to 217 and about 15,000 people, many of them very ill, still need to be rescued, say authorities. Rescue workers continue to find bodies and the toll could rise sharply, they add. About 90 percent of the infrastructure in Beira city alone has been destroyed, said aid workers, and rescue teams are battling to reach communities cut off due roads and bridges being washed away. Survivors of Cyclone Idai, arrive to an evacuation centre in Beira, Mozambique, March 21, 2019. In Zimbabwe's eastern mountainous province of Manicaland, aid workers from the charity Mercy Corps said they had begun distributing purified drinking water packets, hygiene and sanitation supplies to more than 1,600 in Chipinge district. Mildred Makore, a director of programmes with Mercy Corps in Zimbabwe, said populated areas such as Chimanimani town, were still cut off by road. With no power, hospitals had run out of fuel to operate back-up generators. "With latrines having been washed away and sanitary systems disrupted, open defecation and the pollution of water sources is a major concern. These can lead to waterborne illnesses, such as cholera and typhoid," she said. "Both Chimanimani and Chipinge are malaria zones and with people sleeping outside, not having access to clean water sources and, once temperatures increase again, the potential for case numbers to rise is great." In Malawi, where almost 1 million people have been affected by floods, aid workers said they were worried about the spread of disease in some 170 makeshift camps where more than 125,000 people have sought refuge without sufficient toilets. "This may be the most devastating such disaster in the region's history, and its damage can escalate quickly if we do not act immediately," said Concern Worldwide's U.S. chief executive Colleen Kelly. "We must prevent a second wave of destruction from additional flooding, crop loss, hunger, and potential disease."